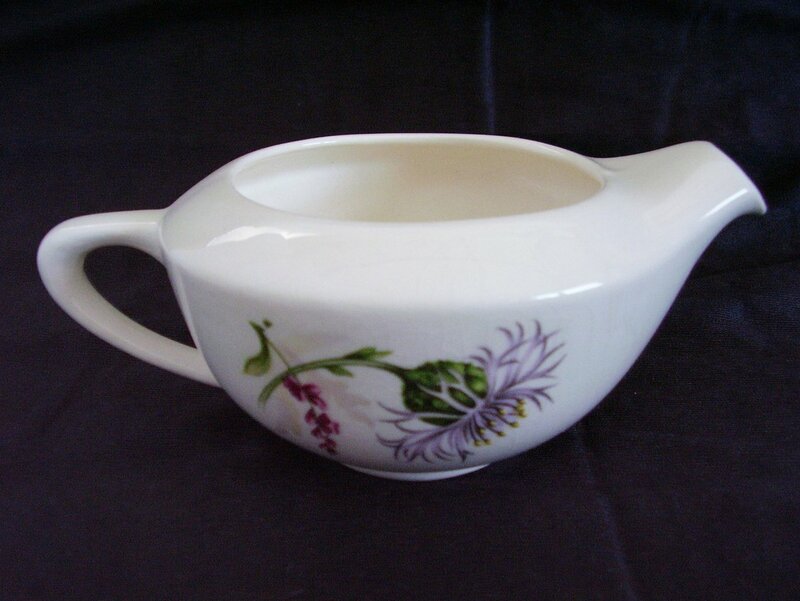 American Limoges creamer of the Glamour style in the thistle pattern. A beautiful pattern of pale lavender and purple thistles with green leaves. 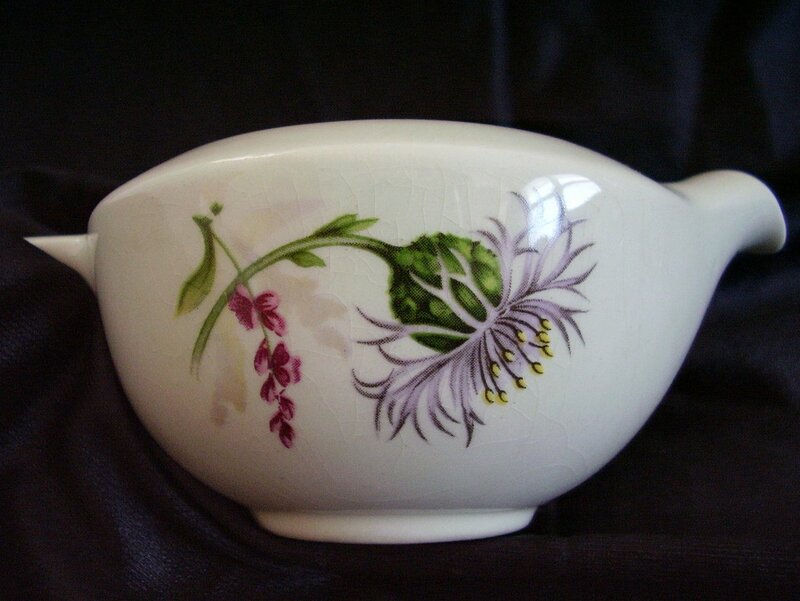 American Limoges creamer of the Glamour style in the thistle pattern. A beautiful pattern of pale lavender and purple thistles with green leaves. Back stamp on other pieces appears to indicate that this may have been discontinued in 1955. 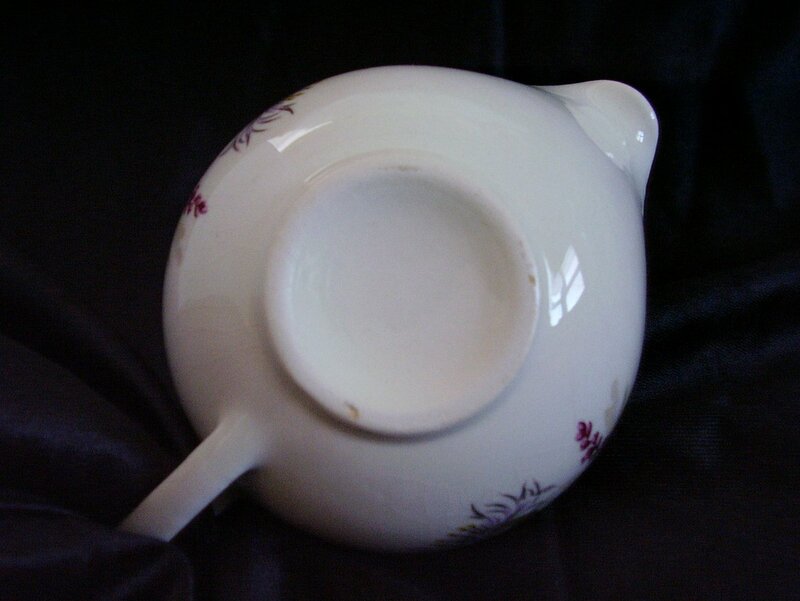 The creamer measures 2 1/2 inches tall, 4 1/4 inches in diameter and measures 6 1/4 inches across the handle to spout. Holds 10 oz. Interior appears to have never been used. There is crazing noted. No cracks, chips or hairlines. Blemish on foot appears to be from manufacturing process.